Where would music be without some of these law breakers? 1) What appropriately named singer spent 59 days in jail for stabbing his girlfriend Nancy in the abdomen, causing her to bleed to death? 2) Only one musician has released an album that became number one while he was in prison. Name him. 4) This artist spent three years in prison in 1949 for stealing clothes from parked cars. He’s got soul, but that’s super bad. 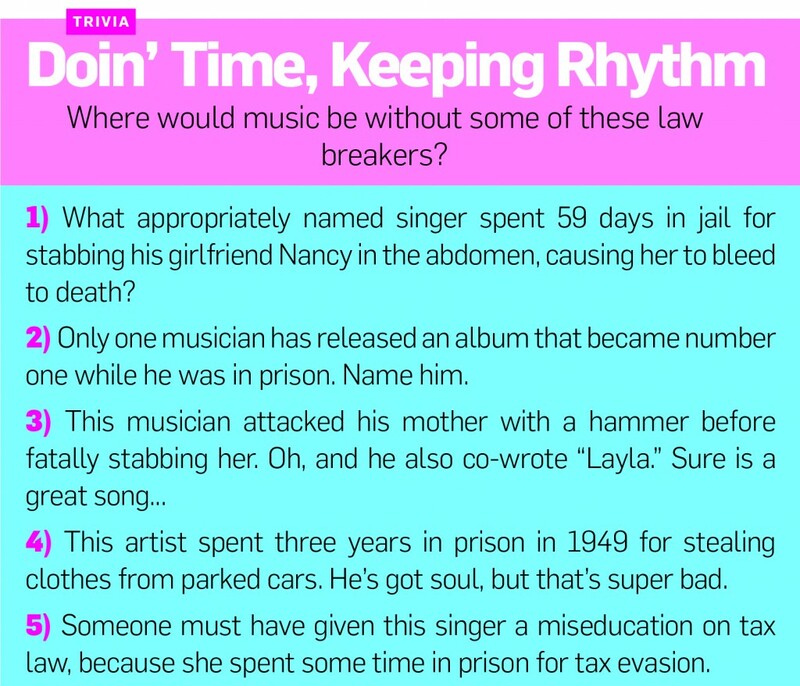 5) Someone must have given this singer a miseducation on tax law, because she spent some time in prison for tax evasion.